Handicapped entrance is 20 feet to the left of the main entrance. The Priory Hotel, a former Benedictine monastery, was designed by architect Henry Moser and built in 1888 in the late Victorian style. It was restored to 19th century elegance by the Graf family in 1986. See Priory Hotel guestrooms (based upon availability) as well as our historic kitchen. The Priory Hotel’s Grand Hall will be open for touring on Sunday only. Constructed by German, Austrian and Swiss immigrants in 1854, the former St. Mary’s Church now serves as the Priory’s large event venue, hosting wedding receptions and all varieties of business and social events. The Priory Hotel started life in 1888 as the St. Mary’s Priory, a monastery and resting place for traveling Benedictine monks and priests. It was transformed by the Graf family in 1986 into the Priory Hotel, a European-style boutique hotel. In 2011, the Grafs expanded the hotel with a new addition, increasing in size from 25 to 42 guest rooms, as well as adding the smallest pub in Pennsylvania, the 14 seat Monk’s Bar, along with meeting space and a new fitness and business center. 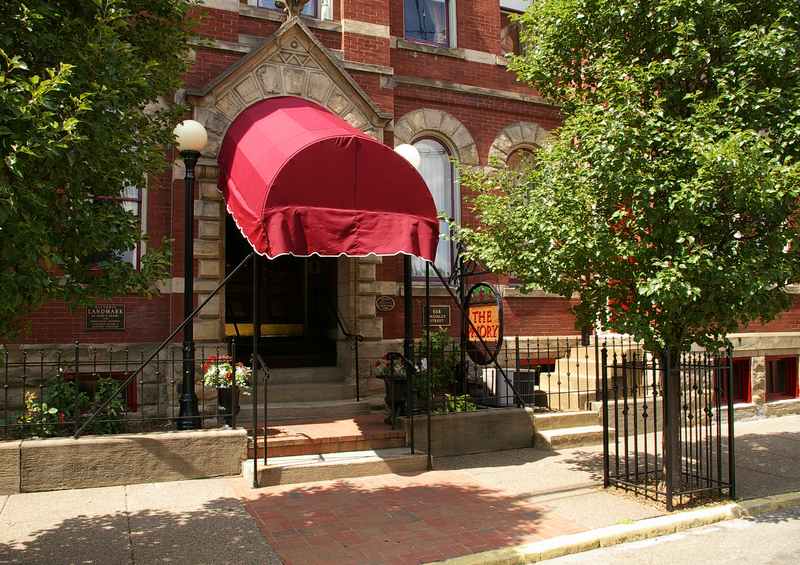 Located in the Historic Deutschtown neighborhood, the Priory is one of Pittsburgh’s few independent boutique hotels. It offers all the amenities of a modern hotel, with unmatched history and ambience.